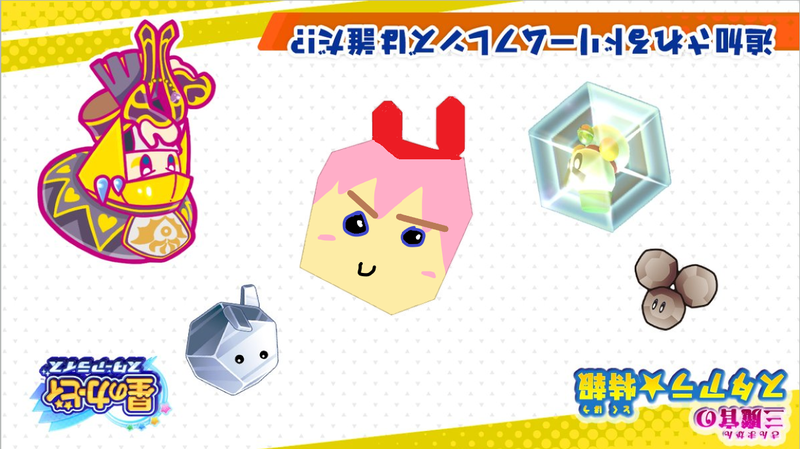 The summer update for Kirby Star Allies is fast approaching, so the official Japanese Kirby Twitter has teased another new Dream Friend that will be added to the game. This Dream Friend will join Daroach, a character that was revealed last week, as well as some other characters that have not been teased yet. As for the official tweet, feel free to check it out for yourself down below. Thought it was a Pokemon silhouette for a second there, what with the rumors and us being in the last 3 days of May now. It’s a Jigglypuff as seen from above. I think that might be Miracle Matter from Kirby 64. I’m most likely wrong but that’s the only character that comes to mind that has a shape like that. It’s Dark Metaknight, cause it’s the exact same shape when he appears in a mirror shard, with the two parts sticking out at the bottom look similar to Mirror Kirby’s mirror attack.